This is my dog Charlie , he is 1 year old , this picture was captured as he awoken from a nap! 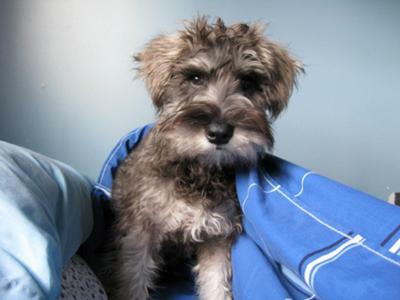 Comments for Adorable Minnie Schnauzer! Nice little puppy. I am not sure if that is a puppy or adult dog. I think that is the reason we like them so much. Learning music training is critical on the grounds that it help the understudy to learn basic considering, make critical thinking and makes them more abilities, for example, math, science and theory composing. Here you can join us through bestessays.com.au review and every understudy can arrange us for any kind of composing scholarly papers. I guess that to get the credit loans from banks you ought to present a great motivation. Nevertheless, once I've received a commercial loan, because I wanted to buy a bike.